Oh, what we wouldn’t do for an extra hour or two during the day for some “me time.” But making yourself the top priority is hard when you have aseemingly endless to-do list of family, work, and school obligations. Taking care of ourselves is a crucial part of living a full life. When you treat yourself well, it will trickle down to everything else in life—your partner, children, classmates, coworkers etc. Whether it is going to a park to read a book for a half hour, treating yourself to a pedicure, or trying that new yoga class, here are 10 tips to carve out some time for yourself! 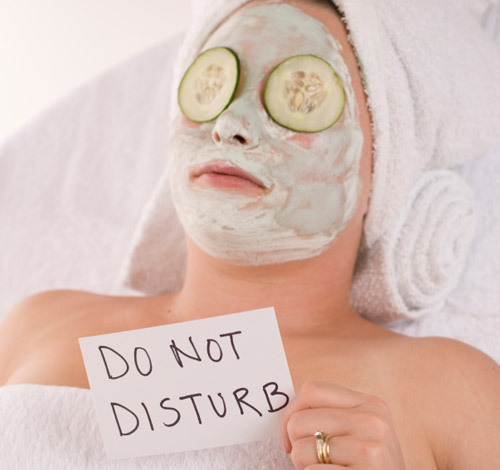 We schedule doctor’s appointments and work meetings, why not schedule some “me time”? Pencil it into your calendar lender just like you would for any other important event. It may seem silly, but this is how you will be able to remind yourself, and hold yourself accountable, to giving yourself some alone time. While it may be tempting to spend your free time running errands or catching up on school work, commit to spending the time to pamper yourself. Start a craft, or enjoy a warm cup of tea. You don’t have to spend a lot of time, but it has to be for yourself. Some things are just easier for you to do yourself, but find other tasks that you can ask others to help you with. Have your children help you more with the chores, or ask a roommate to pick up a few grocery items if you know she is already going to the store. Lighten the load when you can—it will make a huge difference! You will save a lot of time if you set certain times to check your email. Checking it four times a day, or every two hours, instead of every 15 minutes, will give you some extra time. How often do you really need to be checking email? Even if five minutes is all you can muster, take it! Spend that 5 minutes breathing deeply, going for a walk outside, or just sitting quietly by yourself. That can be all it takes to recharge for the rest of the day. It is great to help out your friends and family when they ask. But if the favors they ask begin to cut into your ‘me time,’ it is okay to create a buffer. Tell them that you are happy to help, but you will need 20 minutes (or whatever time feels right) before you can do it. You have probably heard this suggestion before. This time, actually give it a try! Try it for a week straight, and then decide if it is for you. Set your alarm for 15 minutes before you would normally wake up. Use that time to be quiet, write in a journal, or engage in any activity that restores you. Taking a shower may be your only naturally built in alone time during the day. Take advantage of it! Purchase some aroma therapy products that you love and treat each shower like it is a spa getaway. Take some deep breaths and let the warm water wash away any tension that you were having. Most of us spend a lot of time in our cars driving to work, school and running errands. Instead of listening to music or podcasts, use that time to enjoy a brief period of quiet. Taking care of yourself can leave you feeling guilty; you aren’t spending time with your family or doing work. Keep in mind that carving out time for yourself is vital for keeping yourself healthy, and that means a happier family and more productive work and school life.